Just 2,000 Victorian solar rebate applications remain in the State Government’s Solar Homes program before the close of the financial year. The Andrews Government says the success of its Solar Homes program means over 30,000 households have signed up for rebates on solar power system installations. This week the 10,000th rebate will be paid on the immensely popular scheme, according to the government. Victoria’s Solar Homes program celebrates 30,000 applications milestone. The $1.3 billion Solar Homes program, unveiled in August 2018, provides rebates of $2,225 or 50 per cent on the cost of a solar panel system. With a 4kW system, this could save a typical household close to $900 per year in electricity costs. The scheme also offers rebates of $1,000 on solar hot water systems. Importantly, households can only access one rebate type (e.g. solar hot water, or solar panels) under the program. 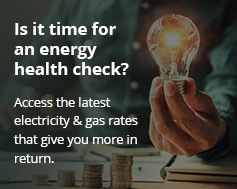 The Victorian solar rebate program will open again after July 1, with even more on offer for those choosing to go solar. The second phase marks the start of interest-free loan offerings on solar PV systems for households. These loans also extend to 50,000 rental properties. In addition, from July 1, the program introduces rebates for half the value of the installation of 10,000 battery storage systems. Eligible homeowners could save $4,850 on the installation of an 11 kWh battery unit. In turn, this would save up to $650 a year in addition to electricity savings from household solar panels. The government says the second phase will roll out in an orderly manner. It will also place caps on the number of rebates for solar PV, hot water and battery systems. Since its introduction last year, the Solar Homes package has saved Victorians an estimated $21 million in power costs, according to the government. Over 10 years, the Victorian solar rebate program will extend to 770,000 homes. This will make a big difference, not just to energy bills, but to Victoria’s emissions target. Household solar power is expected to generate 12.5 per cent of the state’s 40 per cent renewable energy target by 2025. On its own, the Solar Homes program will cut Victoria’s carbon emissions by over four million tonnes. This, says the government, is the equivalent of taking one million of Victoria’s 4.6 million cars off the road.